I celebrated my birthday this year in Big Bear, California where I enjoyed the fresh air while snowboarding down the Snow Summit mountain. The mountain was packed full of people and it made me realize how popular the winter mountains truly were. I love the idea of unique wedding locations. 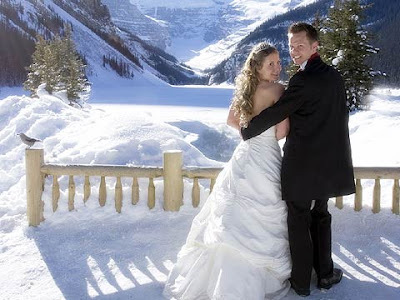 For the snow loving couple, getting married by the snow is ideal. 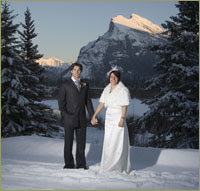 The snow capped mountains make for a beautiful backdrop for wedding photos. Locations such as Banff and Whistler offer spectacular locations and I look forward to one day attending or coordinating a wedding in a ski resort!